The book provides a detailed, factual description of the RV8 manufacturing process together with an outline of the staff involved. The content is based on material from within the Club’s archives, interviews with the management and production staff involved with the RV8 production and ensures that this fascinating detail of RV8 history is not lost. The book begins with an interesting outline of the formation of the 16 strong production team involved in RV8 manufacture and their duties. It then covers the manufacturing process from body shell build, painting, to vehicle assembly. Further chapters describe the assembly facility layout, build documentation and vehicle production dates. The book will be offered at £24.99 including UK P&P. Prices for buyers in Mainland Europe and in Overseas markets will include the Airmail P&P to those destinations at cost. 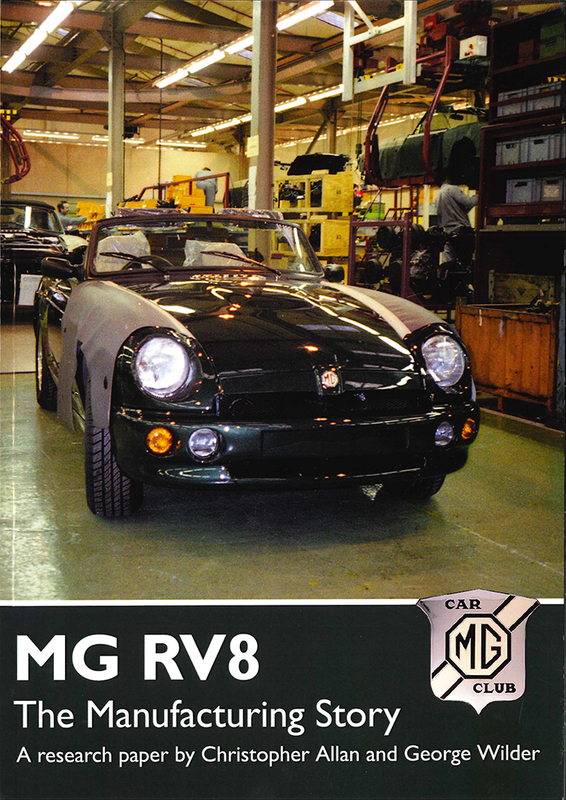 You can purchase your copy from the V8 Register here. *please note* All orders are being processed by the V8 Register and not through Kimber House. You will not be able to purchase this book using the MGCC Shop. The members section of the website has recently been updated to include the ‘Engines For MG’s’ PDF eBook. 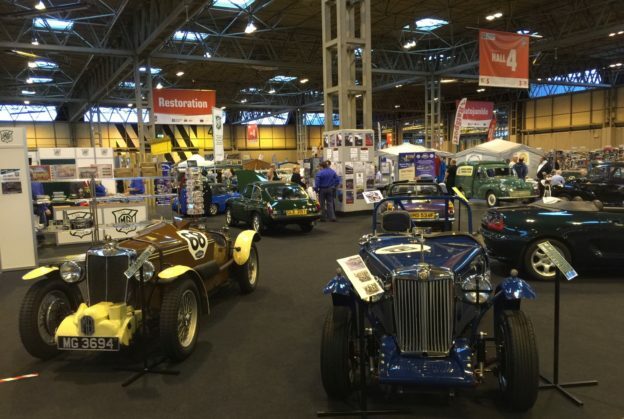 TIME is running out for MG Car Club members to book their discounted ticket to the Classic Motor Show at the NEC, Birmingham!